A man has been arrested after police say he robbed the same convenience store twice in 12 days. 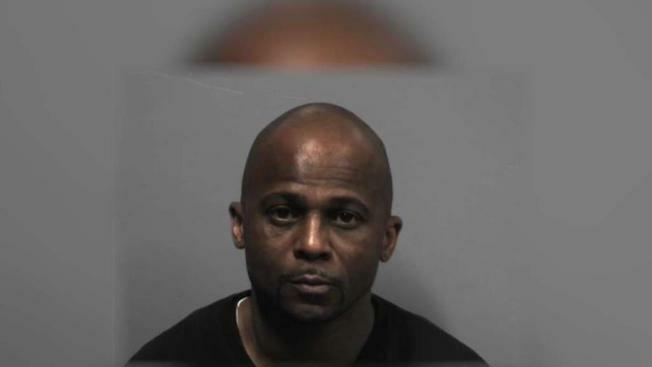 According to police in Randolph, Massachusetts, Mark Stokes, 51, of Roxbury, has been arrested and charged with two counts of armed robbery. The Barros family drives from Natick to Randolph each weekend to get some gas and Marylous. "It's our traditional little trip," Tim Barros said. It's a family experience the parents and kids enjoy. "It makes our day because everyone in here is so nice and it's just really scary that someone would do that," the Barros' child said. The two armed robberies have left the Barros family reeling. "It's obviously frightening. You don't want any place to get robbed, ever, especially a place I take my family to," Tim said. Police responded to a reported robbery at Seasons Market on North Main Street at 9:44 p.m. on April 1. When officers arrived they learned that a man wearing black and white sneakers and a heavy two-tone jacket entered the store, pointed a gun at the clerk and demanded money and cigarettes, police said. The market was robbed again just before 2:30 a.m. on Friday, police said. This time, a similar looking suspect entered the store while the clerk was outside. The suspect attempted to open the cash register but inadvertently turned off the gas pumps. When the clerk entered the store, the suspect pointed a gun at him and demanded the clerk open the register. According to police, the suspect fled both robberies with cash and Newport cigarettes. The suspect left his fingerprint on the button to shut off the pumps, police said. Police learned that Stokes was himself the victim of an assault and battery in Boston less than two hours after the robbery. Police say his car was shot at multiple times. Police investigated the scene and found a black pellet gun in Stokes's car. They say the bore of the gun was widened to make it appear more realistic. Detectives then obtained a search warrant for Stokes's Boston residence. Police say they found clothing allegedly used in both robberies. They also matched his vehicle to the one seen leaving the vicinity of the second robbery. The investigation also found surveillance footage of a man, allegedly Stokes, entering the lobby of a nearby hotel shortly after the robbery. A Randolph Police K-9 also traced the suspect's scent from the market to the hotel, police said. Stokes is being held on $15,000 cash bail at the Randolph Police Department. He is scheduled to be arraigned in Quincy District Court next week. Stokes is known to police, they said. It is unclear if Stokes has an attorney.